Our new 24 “Moon” (720-Day) Prosciutto di Parmas from Devodier are a true knockout! These prized hams are aged in a deep cellar built over the old bed of the Parma River, with red clay brick walls of an ancient kiln and fir wood frames to hang the hams as they age. The special atmosphere is controlled by the prosciuttificios who open and close the cellar windows to control the air circulation as needed. To bear the DOP seal, the hams must be aged a minimum of ten months. The longer the ham is aged, the more velvety in texture the meat becomes, and the more intense the flavor. Our new prosciuttos from Devodier make a lovely example of a well-made Parma ham, set apart in its age and craftsmanship from the commodity prosciuttos we have been accustomed to in the United States. The texture is velvety and supple, to the point that it almost melts in your mouth. The flavor is sweet, porky, fruity and floral, with notes of pineapple and melon, the salt is appparent but not overpowering. About Prosciutto di Parma: There’s something you can’t deny about the humble marriage of pork and salt. Hailing from Parma, nestled in Italy’s culinary heartland of Emilia-Romagna, records of dry-cured hams date back to the Roman Empire. 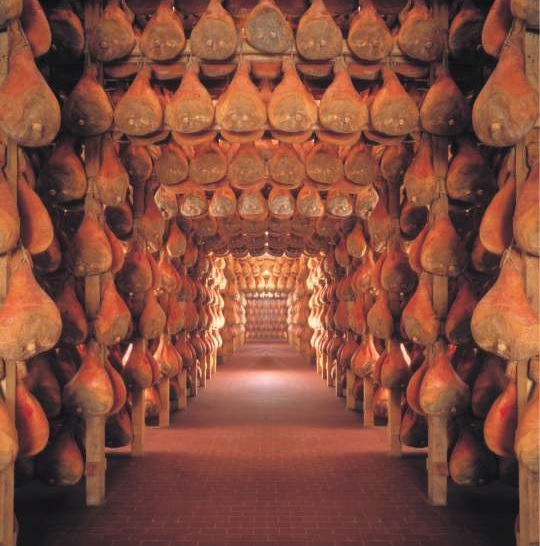 In the mid-1800s when Parma’s ham spread in popularity throughout Italy, Parma’s villages were laid in a way that would increase air-circulation to aid in the ham-curing process. 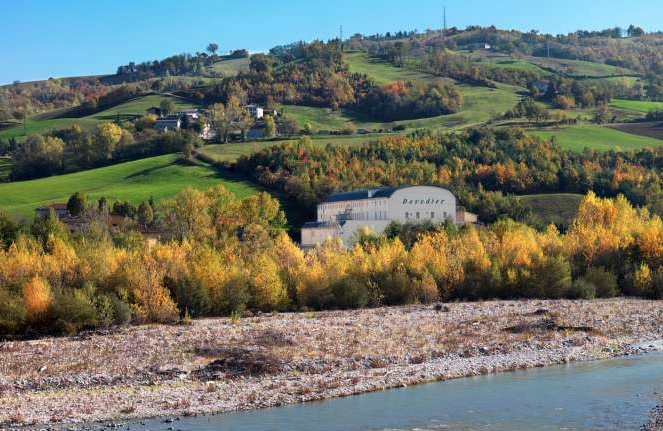 Prosciutto di Parma is the outcome of the region’s ideal climate, and access to the rare commodity of salt from the saline rich wells of Salsomaggiore. In the days before refrigeration, Prosciuttificios mastered of the art of aligning the curing process with the seasons. Pigs fattened off of the summer’s fallen hazelnuts and acorns were slaughtered in late-autumn as the weather turned colder. The fresh legs of pork were then packed in salt (too much and the ham would be dry and too salty – too little and the ham would spoil), and aged until spring in the cool winter air. By springtime, the salt had worked its way to the center of the ham and killed off any harmful bacteria. As the weather warmed up in the spring, so did the hams, beginning the fermentation process responsible for Prosciutto di Parma’s depth of flavor. Today Prosciutto di Parma is a major industry, with one in every three legs of Italian pork turned into one of Parma’s legendary hams. In 1963 the Consorzio del Prosciutto di Parma was founded to protect its’ producers from imitators with less scrupulous standards. 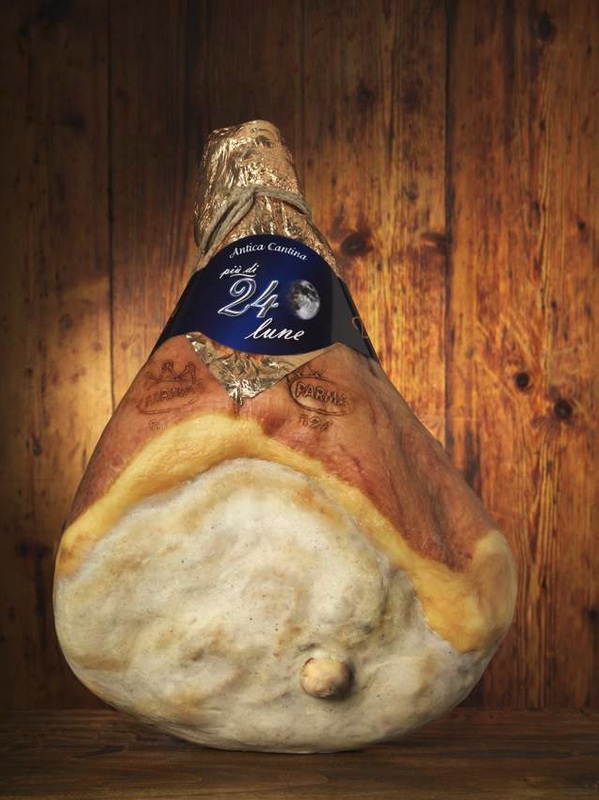 Prosciutto di Parma was one of the first foods to be granted DOP status by the European Union. Even still, there is a huge variation in quality from one producer’s Prosciutto di Parma to the next.